"Rest in peace, Karl . Thank you for your service to our country. Prayers for your family, especially your children and grandchildren. ..."
To send flowers to the family of Karl W. Dollmann, please visit our Heartfelt Sympathies Store. We encourage you to share any memorable photos or stories about Karl. All tributes placed on and purchased through this memorial website will remain on in perpetuity for future generations. Your family is in our hearts and in our prayers. We wanted you to know that we are sorry for your loss, we know the Karl will be missed. Rest in peace, Karl . Thank you for your service to our country. Prayers for your family, especially your children and grandchildren. Also for your parents and sisters. You will be missed . Karl was a brother and friend. 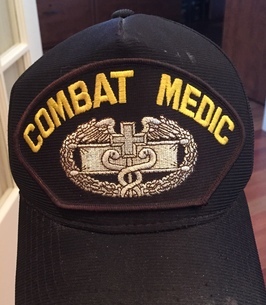 I had the pleasure of serving with Karl as a medic in the 27th Engr Bn Combat Airborne, Ft. Bragg, NC. 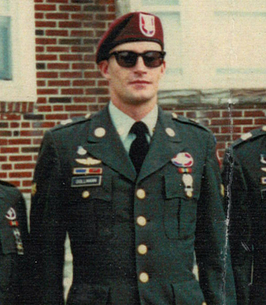 Karl was an outstanding soldier and very proud of his service. I had the pleasure of getting invited to Karl's home to meet his wonderful family. Karl will be missed by his brothers he served with at Ft. Bragg. Word cannot express the shock and upsetness that was felt at hearing that Karl had gone Home to be with the Lord. I'm so glad we were able to reunite on Face Book, and be back in contact with each other. I do have many good memories were brought back to mind as I reflected back on the face that I've known Karl since I was 4. Then going all through school with him & graduating with him. Please accept our condolences to Wolf & Jeanette, Karin, Debbie and all others who will miss him so very much. Our faithful prayers remain with you all. Love, Jerry for Debbie too.